AGRA, India, April 16 (Reuters) - Where Princess Diana went alone, her son Prince William visited the Taj Mahal with his wife Kate on Saturday, bringing the British royal couple's week-long South Asian tour to a poignant close. 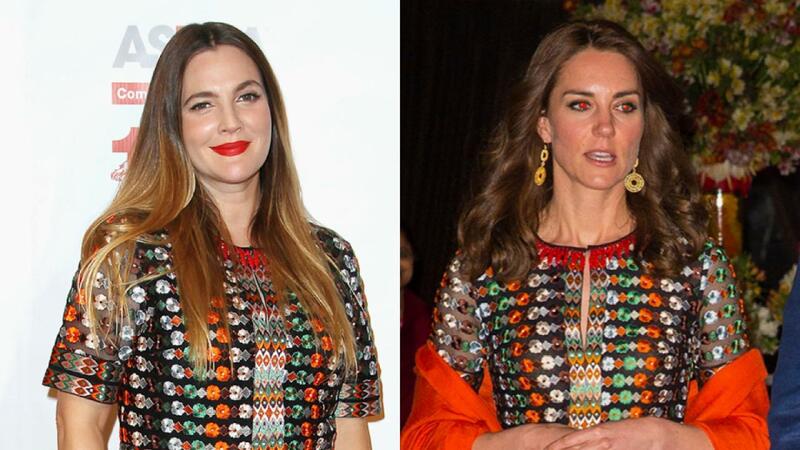 SEE ALSO: Kate Middleton is gorgeous in stunning orange dress to celebrate last night of Bhutan tour -- find out its special meaning! Diana's solo visit to the 17th-century mausoleum - built by Mughal Emperor Shah Jahan in memory of his favorite wife - came to symbolize her unhappy marriage to Prince Charles. Three of the Taj Mahal's four minarets were swathed in scaffolding for repairs. Still, images of William and Kate sitting before the onion-domed monument, its ivory colored marble translucent in the afternoon sunshine, were striking. Asked about her impression of the Taj Mahal, Kate could be heard saying over the clatter of camera shutters: "It's really stunning." It was raining earlier in the day when the couple flew out of Bhutan's only international airport, a day after they trekked to a Buddhist monastery 3,000 meters (10,000 feet) up a mountain.